The Lok Sabha Elections of 2019 are all set to happen in Tamilnadu on April 18 and political parties are gearing up for it with full strength by campaigns and releasing manifestos. One of the parties contesting the elections is Amma Makkal Munnetra Kazhagam. The leader of the party is TTV Dhinakaran. Amidst his busy schedules for election campaigns, he has now released the teaser of a tamil film that talks about farmer woes and other current issues. 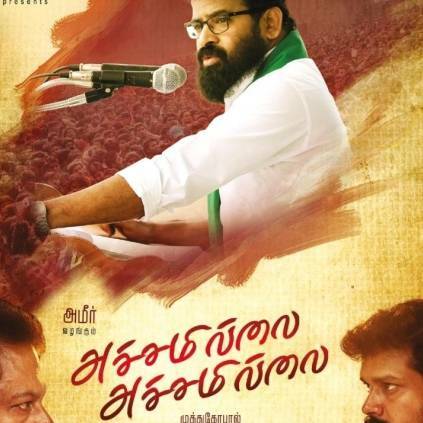 Achamillai Achamillai is an upcoming tamil film starring Ameer, Muthu Gopal, Harish, Chandini Tamilarasan and directed by Muthu Gopal. TTV Dhinakaran has taken to his official twitter account to wish them the best and has also stated that he is happy to launch the teaser of the film. The election campaigns by all parties are going on in full pace and the people are making their choices to cast vote for. Celebrities are urging people to vote in the elections as every vote counts. People looking for online information on Achamillai Achamillai, Ameer will find this news story useful.